If you need money quickly, walk into a payday loan store and leave in a few minutes with $300 or $500 in your pocket. Nothing could be simpler. But this convenience comes at a cost. Payday loans are the most expensive way to borrow money. 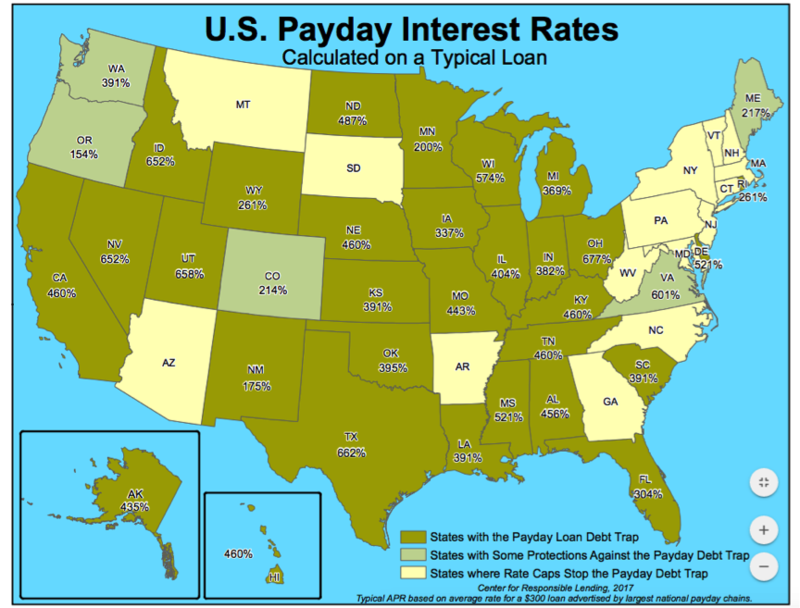 According to the Consumer Financial Protection Bureau (CFPB), a United States government agency responsible for consumer protection in the financial sector, a payday loan could carry an annual percentage rate (APR) of 400% or more. What does that mean? If a loan carries an interest rate of 400%, you will pay four times the sum that you borrow if your loan period is a year. But payday loans are for much shorter periods. You typically need to repay in two weeks. Does that make them cheaper? Not really. Let’s see the impact that a high APR has on your interest cost. Say, you borrow $500 for two weeks at an APR of 391%. The loan requires you to pay $575 fourteen days later. Instead of making this payment, you could decide to roll over the debt. 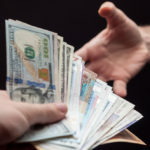 That’s quite normal for a payday loan – many borrowers prefer to take another payday loan to repay the first, and then repeat the process several times. Do this for three months, and you will owe the lender approximately $1,000. Swiping your credit card is even easier than borrowing from a payday lender. If you use your credit card regularly, you can pile up a large amount of debt without realizing it. A news report on CNBC points out that credit cards are one of the most expensive ways to borrow money. Credit cards carry an average interest rate of 17%. But remember that’s the average. Some borrowers could be paying a far higher interest cost. Factor in the various fees and your rate becomes even more. What is the interest rate that you are paying? Let’s come back to payday loans for a moment. According to the Center for Responsible Lending, a nonprofit that works to protect borrowers from predatory lenders, the interest rate that payday loan companies charge is astronomical. While rates vary, borrowing in some states can mean paying exorbitant APRs. For example, the typical rate in Texas is about 662%. Nevada and Utah also have rates at 600%+ levels. Here are five online calculators that are specially designed to answer all your interest rate-related queries. They can also help you to decide on the best way to get out of debt and manage your finances. These calculators are simple to use and can provide you with valuable insights in a moment. How much debt do you have? How much can you pay every month? The calculator will tell you how long it will take to become debt-free. It will also show you how much you can save by settling the debt through Real PDL Help. Let’s understand how the Debt payoff calculator works with an example. Say, the total amount that you owe your lender is $5,000, and your budget allows you to pay only $300 per month. You can settle your debt by making the monthly payment of $300 to Real PDL Help. If you do this, you will be debt-free in ten months. That’s possible because you will get your debt amount reduced to $2,500. In addition to this, you won’t have any creditors to deal with, and neither will you have to pay any late fees. This calculator compares the total debt that you are carrying with your income and tells you your debt-to-income ratio. A high debt-to-income ratio can be dangerous. If your earnings go down, you may not have enough money to pay your loan installments as well as to meet your daily expenses. Monthly payment details – you will be asked to key in your monthly mortgage or rent, minimum monthly credit card payments, monthly car loan payment, and your other loan obligations. 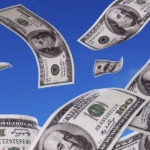 Annual income details – enter your annual gross salary, bonus and overtime, other income, and alimony details. If your ratio is high, it indicates poor financial health. It is possible to reduce your debt with professional help. 36% or less A good ratio – try and keep it at this level. 37% to 42% This is acceptable, but it could be lower. 43% to 49% You may be heading for trouble if you aren’t careful. 50% or more Too high. Get professional help. This tells you the real cost your loan. An annual percentage rate (APR) is your interest rate on a yearly basis. It includes any fees or charges that the lender may require you to pay. The APR calculator is a handy tool to compare the interest costs of different lenders so that you can decide on the lowest-cost option. Interest rate arbitration – this is also known as loan consolidation. Debt management – the interest on your loans is reduced. Debt settlement – both interest and principal are reduced. Bankruptcy – interest and principal are reduced under court supervision. But which of these four options should you choose? The debt consolidation types calculator can tell you. Enter your loan details and your monthly payment amount, and the calculator (coming soon) will make a recommendation on the best course of action to follow. You may have several credit cards, each of which carries a different rate of interest. The minimum amount that is due every month against each of these cards could also vary. It can be difficult to keep track of all your credit card debt and calculate the total payment that you are required to make. Additionally, you may not know the rate at which your principal is getting paid and how long it will take to complete the repayment. This is where the credit card payment calculator can help. Just enter the current balance of all your credit cards, the interest rates, and the monthly payments. You will immediately be able to see a consolidated statement providing details of interest payments/principal payments and the number of months that it will take to repay the entire sum that you owe. If you have borrowed more than you can afford to repay, getting your financial life back on track could be difficult. The first step that you must take is to come to grips with your total debt. How much do you owe your payday lender and your credit card company? What is the interest rate that you are paying? The five calculators described above can help you gain a better understanding of the debt that you are carrying. The next step is to seek professional help. Real PDL Help has worked with thousands of borrowers like you. The company’s loan consolidation service can renegotiate terms with your lenders, get a part of your debt reduced, and provide you with guidance on the best way to become debt-free.